How would you like to spend a rainy Wednesday afternoon? Dancing? Video production? Hands-on science? This January, a group of 13 volunteers from Walmart joined Girls Inc. students at Acorn Elementary School for an afternoon of enrichment activities and academic help. An active investor in Girls Inc., Walmart also encourages employees to volunteer regularly. Girls Inc. after-school enrichment programs at Acorn include performing arts, gardening and science, fitness, and a class on how to concept and design videos. One class was learning Folklorico, a traditional Mexican dance that emphasizes local culture. 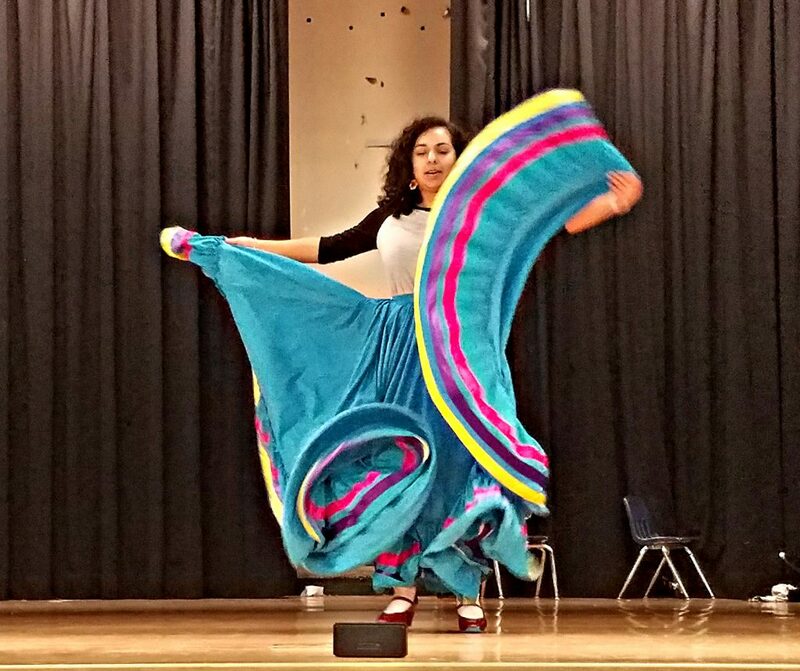 Program leader Monica Gamez, a long-time Folklorico dancer, wore her traditional dance attire and demonstrated two dances that the students would learn. Both students and volunteers learned about the history of Folklorico, and got to check out Monica’s skirts and special dance shoes. One of the guiding principles woven into Girls Inc.’s culture and strategic plan is activating a network of supportive adults in girls’ lives. Volunteers are a key component of this strategy, as they both support the girls directly and model possibilities for future careers and interests. Girls Inc. uses volunteers for a wide range of activities, so to learn more and get involved, click here.